Being in demand in the workplace no longer depends on what you already know, but on what you are likely to learn. Tomorrow, employability - the ability to get and keep a desired job - hinges on how you shore up additional skill sets and at a quicker pace than before. 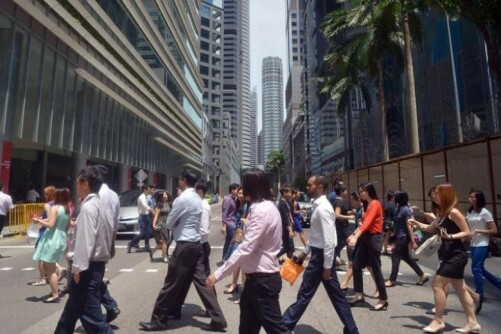 In Singapore, some workers may find themselves out of a job because their industry, such as the retail sector, is in the midst of structural rough seas. Fortunately, the Government's new scheme, Attach and Train, will help such workers find jobs in new growth sectors or learn. They will get internships in sectors that have good prospects, but where companies may not be ready to hire yet. Finance Minister Heng Swee Keat noted this in his Budget 2017 speech in February. To be sure, building an agile and knowledgeable workforce is not the concern of Singapore's employers alone but also of those the world over. In its global survey, The Skills Revolution, ManpowerGroup, the US-listed workforce expert, found that more than 90 per cent of employers expected their organisations to be impacted by digitisation in the next two years. Carried out in July 2016, the study asked 18,000 employers in 43 countries how they expected technology to impact their business, and how they were ensuring their workforce had the right skills to adapt. Almost three-quarters of those surveyed said they were investing in internal training to keep skills up to date and 44 per cent were recruiting additional skill sets rather than replacing. Also, more than a third was easing the transformation by bringing in contractors or third parties to transfer expert skills to their own workforce. ManpowerGroup's chairman and CEO, Mr Jonas Prising, said: "Redistributing and recreating work is nothing new... The difference now is that the life cycle of skills is shorter than ever and change is happening at an unprecedented scale. "Those with the right skills will increasingly call the shots, create opportunities and choose how, where and when they work. Those without will look ahead and not be able to see how their circumstances will improve." An "aggressive workforce development is needed to address the widening gap between the Haves and the Have Nots", Mr Prising noted, adding: "People will need new skills and they will need them more often to stay employable for jobs they may not even have heard of yet." So, adopt a mindset that enables you to upskill continually. In the Skills Revolution, the value placed on different skills will change. Technology will replace both cognitive and manual tasks, so people can take on non-routine assignments and more fulfilling roles. Creativity, emotional intelligence and cognitive flexibility are skills that will tap human potential and allow people to augment robots - not be replaced by them. Take personal inventory. Rather than look at job history, make a list of skills you bring to your work and rank them. Try to evaluate this from your employer's perspective. Ask your boss, a co-worker or trusted friend for feedback: What do they see are your strengths and areas for development? Alternatively, pay for a professional skills or personality assessment such as Meyers-Briggs Type Indicator or the Hogan 360. Leverage the results to identify your strengths and get ideas on how to promote yourself to an employer. After the self-assessments, ask yourself: "If I could do any job in the world without pay, what would it be?" What skills are required for that job and are you qualified for that position? In the process, learn about career types, fields and roles within your areas of excellence, educational level and future outlook. This article was contributed by Right Management, the global career experts within United States-listed HR consulting firm ManpowerGroup.